Have you lost the art of daydreaming? I read somewhere that if you were in the midst of trying to discover where you wanted to go in life, then you should look retrospectively on your imagined life. Sounds kind of strange doesn’t it? So many times, when we try and think of what we want to become or do in life, we subconsciously place all kinds of limitations on it. We don’t realize many times that we are doing this. We somehow use the successes and the failures of our past to place mental leashes on our dreams. Since we live in the real world, that play world that we lived in as kids slowly disappears as life slaps us in the face. Bit by bit, we stop dreaming during the day; sure we dream at night, but daydreaming just stops. My teachers used to write to my parents on my report card that I daydreamed too much in class. I will admit that I did daydream in class. I had so many things that I wanted to become and had quite a vivid imagination. Imagination is very underrated. It is necessary for the advancement of almost any discipline or task we put our hands to. If it wasn’t for imagination, the wheel would never had been invented, much less self driving cars. After thinking of the challenge put before me, I knew that it was going to take some effort since I hadn’t done this in quite awhile. Most of my daydreaming of late had taken on a very pragmatic nature. Dreaming like I did when I was a kid was going to be a task. First off, there are some rules you have to keep in mind or rather non-rules. Keep these in mind as you start daydreaming. To get you started, I am going to share my wild, no holds barred dream. As I said, this is a retrospective dream, looking back on my imaginary life. Here we go, don’t judge me! “I can’t believe where I am today. At one time, I felt as though God had forgotten why He created me, but now I see that it was to prepare me for where I am today. It started long ago. All of my life’s experiences created skills that were necessary to prepare me for this. I thought that I was only created to do one thing, but God showed me He created me to do many things, not just one thing. I was always interested in Rocketry. Little did I know that I would discover anti-gravity. This allowed man to escape earth’s gravitational pull without the use of millions of pounds of thrust. We were able to lift more payloads to space using the space that once was used for propellant to hold mission critical payload. 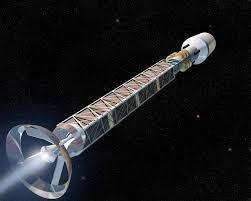 After we escaped earth’s gravity, my team, using photon power, propelled the spacecraft to light speed, enabling man to explore new worlds that were once impossible to reach. Anti-gravity also has commercial success as hover boards, passenger planes and other gravity bound products that suddenly “took off”. Tires on cars are a thing of the past. With my profits from anti-gravity, I was able to finally create Walt Disney’s Epcot. It is a place where the most creative minds live and work to create things that benefit mankind. It is not an amusement park, it is what the original plan for Epcot was supposed to be. The friendships that I created came out of retirement to pull together to make the vision a reality. Steve Story is our corporate attorney who oversees our legal department. Phillip Shucet has found civil engineers like Gary Mackey to create the structure and thoroughfares in Epcot. Jim Tomlinson heads up the hospital. Mike Padden heads up our architectural department. Laurie, my wife makes sure that my creative thinking time is undisturbed. She heads up the ice rink as well as the culinary school. We now have hologram vision, another invention of mine that beams the picture from your TV into your living room. Fortunately the FCC keeps bad content from jumping into people’s living rooms! Ok, that was my dream. What is yours? You may have no idea. First you have to learn to daydream again. 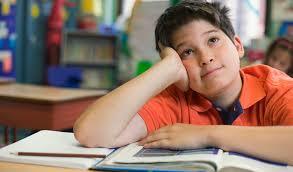 Learning to daydream, using your imagination is not as easy as it once was when we were younger. It’s going to take a little bit of practice. I do this best when I am in a quiet place with paper and pen. This is quite a challenge. My turn to try this! Haha. never really thought of daydreaming as an art. But reading through this post, I guess it surely plays a part on the imagination aspect of our lives! Being a musician, I daydream while I play the piano. In some ways, my daydreaming comes out as new music. I don’t have time for daydreaming unfortunately. I work all the time to get the children through school and it doesn’t give me any time for much else. Maybe when I retire and money is no object lol. One other reader said that they daydream or nightdream right before they fall asleep. Maybe that would be a good thing to do until you can find more time. At least you would fall asleep thinking of incredible thoughts that might cause you to have great dreams full of ideas. Haha no I day dream a lot. Can be anything, my mind wanders and then creates a story. I drive a distance to work some days so it keeps me entertained. Wow, you have mastered daydreaming. You are my Sensei! I think yes. Life has become so busy that there is no time for it. You motivated me to try this out once again. I’m glad that you are going to give it a try. What I find helpful is to sit quietly and imagine that I’m a kid again. If I think of myself as my current age, then I tend to be more serious about my daydreaming which doesn’t help get me motivated to daydream freely. Think of a time when you were a kid, maybe sitting under a tree, thinking of what your life was going to be like when you are older. As I believe, it’s always in the mind so for me, I do daydream a lot especially about my dreams and how far God has brought me. It always feels even nicer when I dream of a pleasant future lol! Right, I believe that as well. I believe that if we allow ourselves to daydream, God is able to drop in that thought that he wants to use to help others. I agree that you shouldn’t just daydream to daydream. I want to daydream of great possibilities and ideas that will help others. If you keep your nose to the grindstone all day long, you may not be aware of things that are happening around you and possibilities that you need to embrace. hahaha I am always daydreaming . It’s like part of my everyday routine. hahaha But I make sure it doesn’t get in the way of my work or when taking care of the kids. Instead of daydreaming during the day, I find myself ruminating on looping thoughts that aren’t constructive. This I’m working on stopping. What I want to start to do is set apart 5 minutes per day, to start, to simply daydream like when I was a kid. I think that it will be like fertilizer on our creative thoughts that many times just need a little jump start. I found this post really interesting because although I never really thought about it before, I daydream all the time. However, I tend to do it at night when I’m trying to fall asleep, so not sure if that counts, but I imagine things all the time. It’s a nice mental exercise to help me relax. I do the same thing. I daydream or maybe it is nightdream right before sleep, but then the thought is gone. This is so hard to do during the day because as kids we were taught to STOP daydreaming and pay attention, but it is this daydreaming that new ideas and inventions are born from. That’s a great concept to daydream during physics homework. I have often wanted to take a physics class as I have always been interested in spacetime metrics. I think to be successful in this daydreaming is a requirement! I still daydream…or maybe the right word is “fantasize” but I try to be realistic about what I let my mind wander to. Of course, I fantasize about what I’d do if I won $1m and I have the money all allocated to different purposes…in my head, of course. Lol. Daydreaming and fantasizing is hard to differentiate. I don’t want to chase fantasies, but at the same time, I don’t want to limit myself by being too realistic. It’s a balancing act for sure. Daydreaming can be challenging as we become older, and have all the pressure out there. But I feel like meditation can be called a daydreaming in some way. Don’t you agree? Yes, I do agree. I have tried floating. (float tank) When I am in that sensory deprivation tank, I meditate, pray and daydream for a solid hour. Daydreaming is amazing and inspires so much creativity. It’s a great exercise to practice!! …and it is a lost art for many of us adults. Day dreaming is something I have done far too much of recently, I am going through baby loss and all I wish is that she is here, it is the only thing I day dream about! Praying for comfort for you during this time. I think in order to achieve great things we need to get in touch of our inner self. Day dreaming actually helps us reconnect with our hidden desires. Even just for a moment, we forget the reality. Praying for whatever you are going through. Thank you Nina. Prayer and allowing ourselves to dream the dreams that God plants within us are what I strive for each day. I’m 25 and I still daydream a lot! It releases my stress and makes me think about my goals in life. I’m glad you haven’t given up the art of daydreaming. Yesterday was a crazy day since it was a Monday and I came home frustrated that I did not take the time or feel I had the time to daydream, but I DID have time to check my Facebook feed. Hmmmm, priorities.